Al Argueta doesn’t live in Guatemala (he’s based in Austin, Texas), but as a photographer and writer with Guatemalan roots who has crisscrossed the country shooting many of the its top hotels, writing travel stories, and researching guidebooks (he wrote and photographed multiple editions of Moon Travel Guides’ tomes on Guatemala), he certainly knows a thing or two about the colorful and culturally rich nation. Born in New York City, Al fell in love with Guatemala at an early age, while on frequent family trips (his parents are from the Huehuetenango region, in the western part of the country) and over the course of a two-year living stint starting when he was 10. Indeed, it was Guatemala that nudged him into photography. “I started traveling to Guatemala at age three and was always inspired by the landscape and people,” he says. “I first started taking photographs as a way to remember my beautiful Guatemalan homeland while back in the frigid Northeast. It somehow brought me joy and comfort. Still does.” When he was older, he ventured solo to Guatemala on high school and college summer breaks. These days, it’s one of his primary destinations for commercial photo shoots–though he works in neighboring countries, too. His shot of Francis Ford Coppola’s Belize property, Turtle Inn, appeared on the cover of National Geographic Traveler’s June/July 2013 issue. Al’s intimate and long-term relationship with Guatemala has provided him with a unique perspective on the country—a perspective we thought would be fun to tap into. What follows is a glimpse into his work and his thoughts on the country, plus a few handy tips for Guatemala-bound travelers. You’ve photographed many countries around the world. How is your photography work in Guatemala different from your work elsewhere? What makes Guatemala visually unique? Well, it’s certainly more exciting! I shoot a lot of interiors these days. Commercial shoots in the U.S. pay the bills, but you’re usually shooting interiors that don’t look quite as exciting as the beautiful Guatemalan colors, textures, and patterns you find in many of the country’s boutique hotels. It’s always a bit of culture shock going from Guatemala’s Technicolor dream back to the mass-produced, mostly bland interiors found in the U.S. To me, Guatemalan handicrafts and textiles have a certain allure, and when mixed with a healthy dose of style and sophistication are just plain spectacular. Have you noticed a change or shift in the type of Guatemalan hotels that are springing up or how current ones are being updated? I definitely see more sophistication. Guatemala is (thankfully) starting to grow out of its backpacker, budget roots. The country’s unique Maya art heritage is being beautifully integrated into modern architecture and décor. I love that there are new jungle lodges springing up in Petén, as its natural beauty is grossly under-appreciated. Belize’s phenomenal jungle lodges have served as inspiration for many, many years, and it’s nice to see Guatemala finally getting some worthy lodges of its own. After working on so many Guatemalan guidebooks, what have you learned—or what has surprised you about the country, the people, or the culture? What always surprises me about Guatemalans is their resilience and resourcefulness. They’ve historically had to come through many challenges, but overall, march forward undaunted. I think this culture of R&R (resiliency and resourcefulness; look, I just coined a new term!) creates tremendous opportunities for innovation and investment. I think it’s Guatemala’s biggest strength towards flourishing in a global economy. In your opinion, how has tourism in Guatemala developed or grown since you’ve been immersed in the field? There are definitely more opportunities for discerning luxury travelers these days. You can enjoy recreational opportunities in world-class accommodations. I think what needs to change is the international media’s perception of Guatemala from that of a budget, somewhat dodgy fringe destination to one that better reflects the truth of its unique position as a world-class cultural and natural tourism destination. The country has historically gotten a bum rap, but it’s not the same place it was 20 or even 10 years ago. What would you consider to be Guatemala’s most underrated sight(s)? What should more visitors see or experience? There are so many areas with incredible natural attractions that are little-known and underrated. The Verapaces region comes to mind, with so much to see and do. Huehuetenango and its Andean-like highlands is amazing, for sure. But I think the biggest one is the northern department of Petén. It has many of the same natural attractions as neighboring (mainland) Belize, with what should be a world-famous Mayan ruin (Tikal) right at its core, a huge biosphere reserve harboring untrammeled forests and even more Mayan ruins, and a beautiful aquamarine lake. There’s even an international airport! It needs to be marketed and developed to its full potential. Neighboring Belize and Costa Rica’s Guanacaste region should serve as examples of what tourism in Petén could look like. When you travel to Guatemala, what do you always make sure to do? 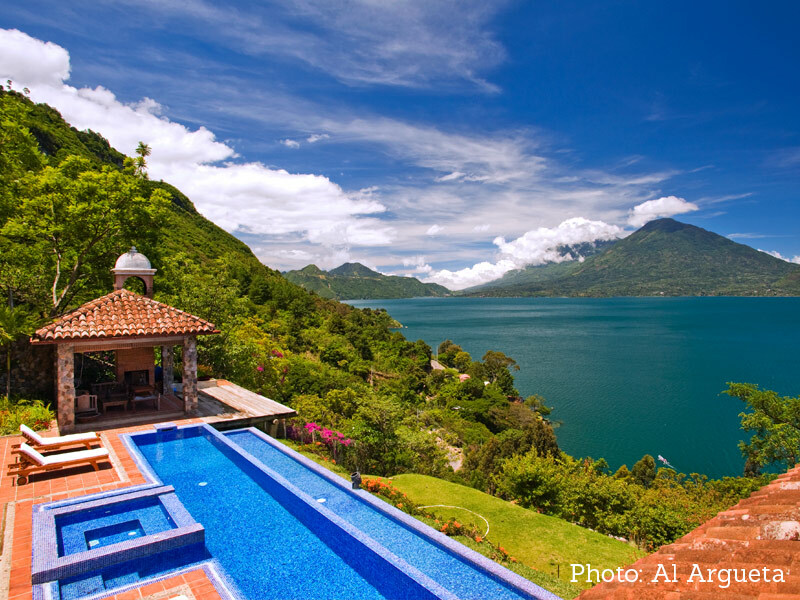 What top three things should all travelers to Guatemala squeeze in? What are the “must-dos”? Lake Atitlán, Antigua, and Tikal. Finally, and most importantly, what’s your favorite Guatemalan food?